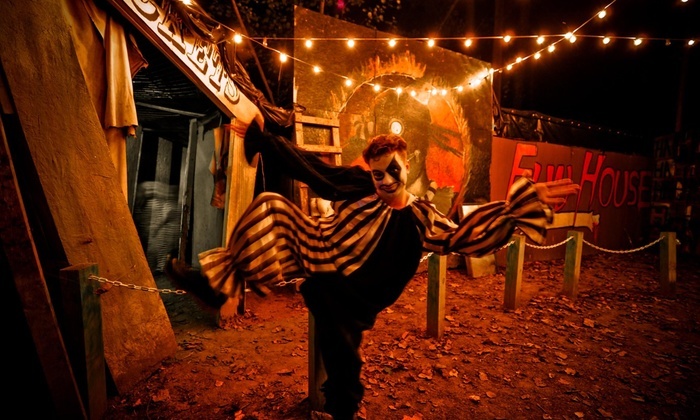 Enter the dark realms of horror at Field of Screams, Maryland’s largest and most horrifying haunted attraction. If you’re alone in a field, will anyone hear you scream? According to the devious genius behind Field of Screams, the answer is undoubtedly no. For the second stop on my tour of Haunted Houses in the DMV, I got the petrifying chance to sit down with Mike Lado, the Artistic Director and demented mastermind behind Field of Screams, one of Maryland’s biggest and most terrifying haunted attractions. He told me that throughout the year, he’s building corpses in his basement and backyard just to prepare for some of the most horrifying nights of the year. As the demonic ghouls and twisted souls cross over from the depths of the underworld, Mike also unleashes his creepy creations to wreak havoc on the human world. These creations are straight out of your nightmares and reside in the deepest, darkest corners of the Field of Screams. If you’re brave enough to face your fears, take a chance by heading to the fields and diving straight into the unknown. I started my journey into darkness on Hades Hayride. When my ride to the underworld arrived, I cautiously hopped on and waited to be consumed by the spirits lurking in the cornfields. Throughout the 15-minute ride, I watched as demons invited the living to play and evil spirits attempted to take souls into the night. 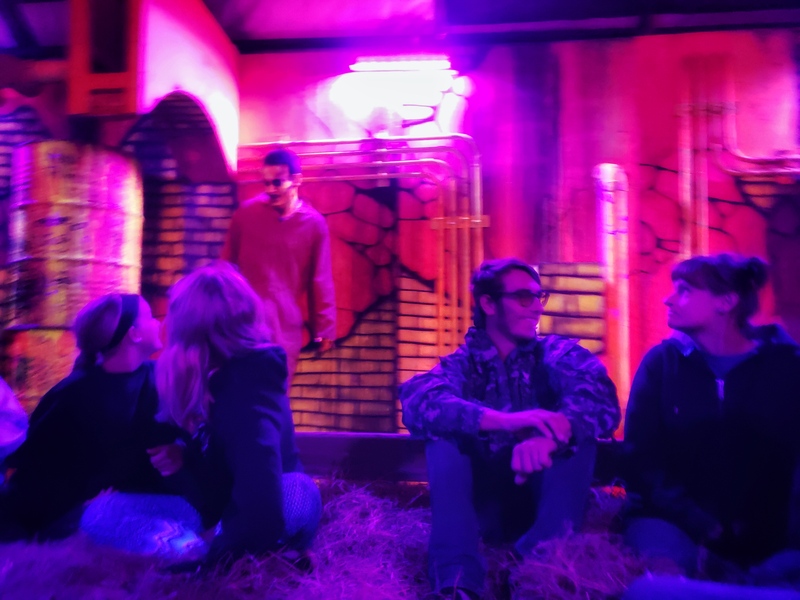 Although this attraction is geared more towards children, I still had a wickedly twisted time traversing the stations of horror and hearing the night filled with screams. It was also my first haunted hayride, and I was extremely surprised that the ghostly ghouls actually jumped on the wagon with us. They entered from the abyss of the fields to hop on board and attempt to take us back into the darkness with them. Next, I made my way to the gory Slaughter Factory. According to legend, there was a minor accident where one of the employees lost a finger in the company’s beef product. The money-hungry owner of the factory didn’t want to lose any sales, so he shipped out the severed finger to the public. This made him realize that he was entirely in control and could do anything he wanted. Eventually, the power drove him mad, and he gained a thirst for human blood. As you walk through the factory, you see the blood splattered everywhere, victims crying for help, and mangled bodies that didn’t quite "cross over." As I made my way through the intestines and bloody corridors, I screamed for my life, squirmed at the gory sights, and retreated into the dark corners of my mind. When I finally made it out of the Slaughter Factory, I headed toward the crowning jewel of the Field of Screams – the haunted trails. Here, the hills are alive with the sound of screams, and I soon learned why. Each of the two trails sends you into a haunted forest littered with creatures from your darkest thoughts, the most demented characters of horror movies, and some of the most frightening souls to inhabit the planet. I walked through a total of 26 houses (13 per trail) that were each filled with a uniquely terrifying experience. I walked (and sometimes crawled) through some that were pitch black, one that was inhabited by Batman’s delirious foe, and another that completely tested my sanity. Through the 30-minute walk, I thought I would never make it out with my mind intact, and that’s exactly how Mike designed it. During our interview, Mike said, “The main thing I’m doing is props this year, really building them up, making them more intense,” and he was definitely telling the wicked cold truth. At each and every attraction at the Field of Screams, you can really see how much detail went into ensuring that the props were utterly disturbing, demented, and sometimes sickening. Even if you thought you were safe from the characters haunting the fields, you’ll come across a prop that will quickly change your mind. Field of Screams is a truly terrifying experience through the darkest realms of horror. You’ll scream, you’ll run, and you’ll have nightmares for a lifetime. 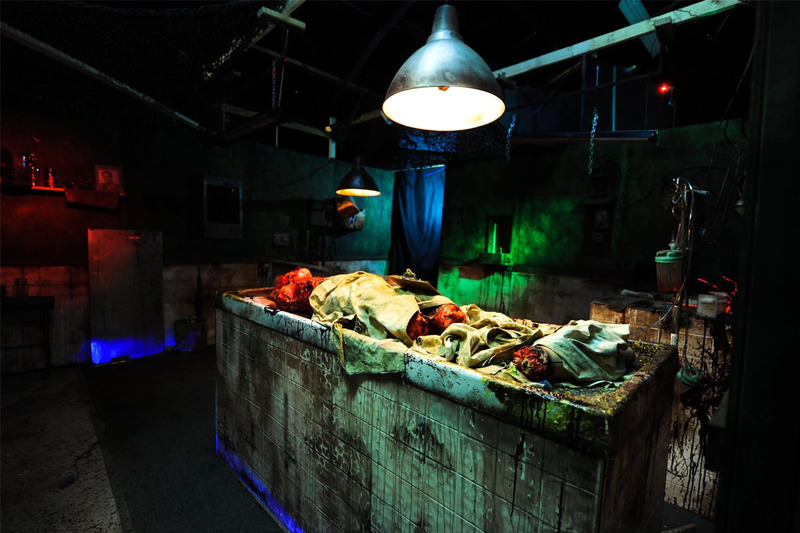 However, after you’ve emerged from your adventures into the darkness, Field of Screams is definitely there to help you readjust to the real world! Sit down at one of their 15 bonfires and chat with your friends about your otherworldly experience, or grab some s’mores or fried Twinkies to calm your twisted stomach. So, do you think your mind, soul, and stomach can handle the horrors? 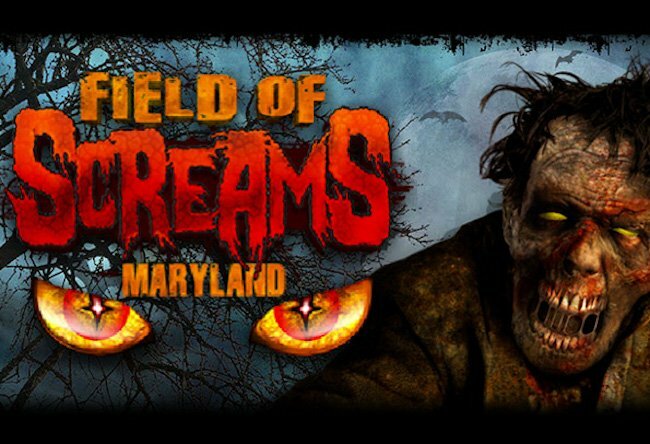 Let us know if you’re heading to the underworld with Field of Screams in Olney, Maryland. 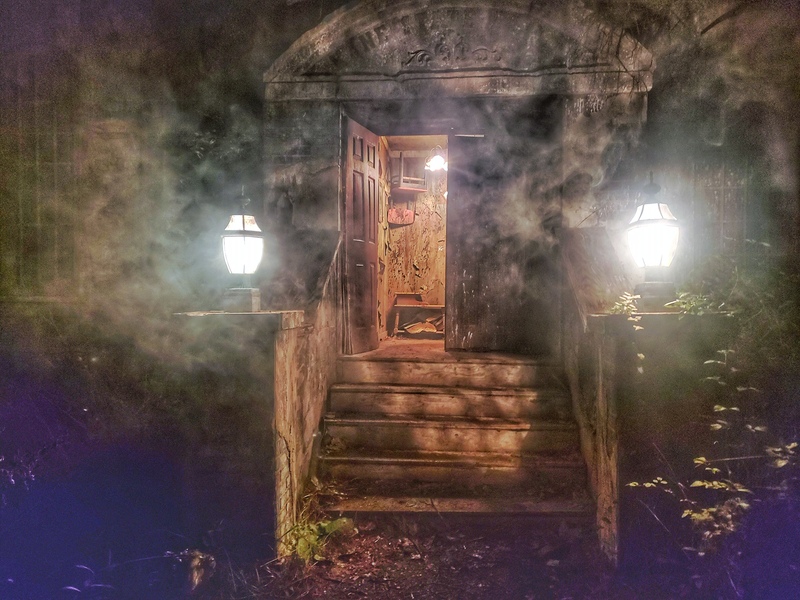 Check out my first Haunted House Stop -- Shocktober -- here.